(NewsUSA) - Social Security, Medicare and supplemental insurance, long-term care, IRAs, life insurance, post-retirement investments and income taxes can all affect the success of your retirement. To that end, an easy-to-understand book and workbook are now available to help guide you in this process. * When do I start my Social Security check? * How do I supplement Medi-care? * Should I purchase Long-Term Care Insurance? *What should I do with my IRA or 401(k)? * Am I investing and creating enough income in retirement? * What about income taxes after age 65? * How do I handle life insurance and transferring assets to children and grandchildren? * How do I choose financial and legal professionals to help me? 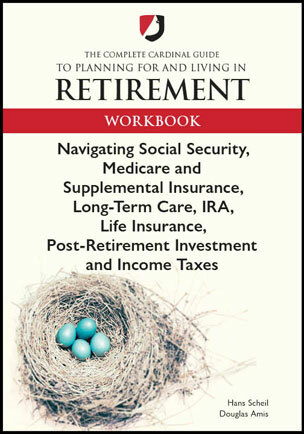 Long-term care planning is one subject both books explain in depth. The average annual cost for nursing home care is $85,755 and in-home care is $49,192, according to Genworth. This cost can go on for years and many retirees, as well as their adult children, do not have a plan to pay for this. There are options available for covering long-term care, which are outlined in the books. "The consequences of failing to plan for long-term care are suffered by the family," Scheil says in his book. "I deal with family members all the time who are doing last- minute planning for a client who has just checked into a facility or is receiving care at home. I experience the confusion, fear, anxiety, pain, and disappointment that comes with these situations. The adult children have a tough time with it. Our job at Cardinal is to help people avoid or minimize these challenges." Throughout his 41 years in the financial services industry, Scheil has worked with clients age 65- plus to provide them with the financial solutions they need to have a successful retirement. He also shares his experience caring for his mother, father and grandmother in their later years. In his books, Scheil addresses the major problems retirees can face and provides simple strategies that can be put in place with the help of a qualified professional. Scheil is a Certified Financial Planner professional who accepts speaking engagements to help educate the public on the basics of planning for retirement. Hans serves clients in all 50 states and the District of Columbia. To get the books, visit Amazon.com or your local library. To get more information, call (919) 535-8261 or go to CardinalGuide.com.